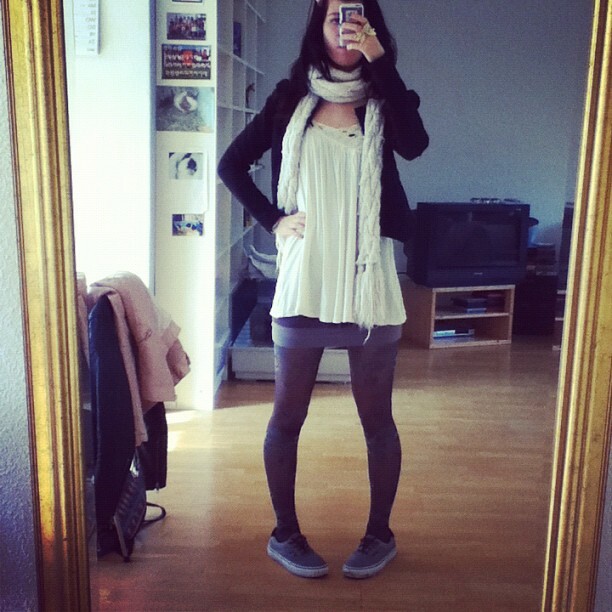 I'm wearing my flowered tights from Accesorize. With a grey skirt from H&M. A brown top [also from H&M] and a white top [Misselferidge] ontop of my brown top. I combinated this look with a black blazer [H&M] and a white scarf [Zara]. In my hair I wear a pinkish-reddish bow from Asos.com. I turn the whole look around by just adding my Pink jacket from Zara.